We offer comprehensive insurance for all Samsung Galaxy S6 models at great prices, with an experienced in-house customer care team. The Samsung S6 series demonstrates a marked improvement compared to its predecessor, with a streamlined user interface, a metal and glass frame, and support for new features like wireless charging and mobile payments. 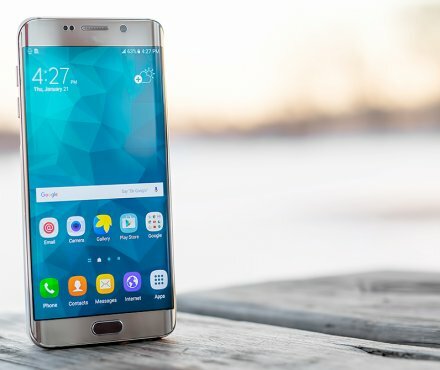 Samsung’s decision to use an in-house Exynos system-on chip reduces the risk of overheating, and the S6 line heralds the introduction of Samsung Pay – now a common feature on the latest Samsung devices. Users and reviewers alike have marked the S6 line as the start of Samsung’s rise to becoming a major player in the smartphone industry. With innovative features and a high-quality design build, the Galaxy S6, S6 Edge and S6 Edge+ are devices worthy of protecting. loveit coverit is here to help – with almost 30 years’ experience in the industry, we have the necessary knowledge and expertise to care for your Samsung device. Accidents happen. But when they happen to your Samsung Galaxy S6, our comprehensive cover gives you peace of mind and financial reassurance. Nothing attracts water quite like high-tech gadgets. Protect your Galaxy S6 against liquid damage and we’ll get it repaired or replaced. Dropped or knocked your Samsung Galaxy S6 and the screen is cracked or not working properly? Don’t worry, we will get it repaired! We offer a replacement device and cover for unauthorised calls when your device is taken from you. We can help you protect the accessories that allow you to enjoy your Samsung Galaxy S6 - like headphones, chargers and cases - if they get damaged or stolen. Airtime abuse can be a concern if your device gets stolen. Our Samsung Galaxy S6 insurance covers the cost of unauthorised calls made following the theft of your phone.